How can you write a realistic story set in a place you’ve never been (or that doesn’t even exist)? You design it! 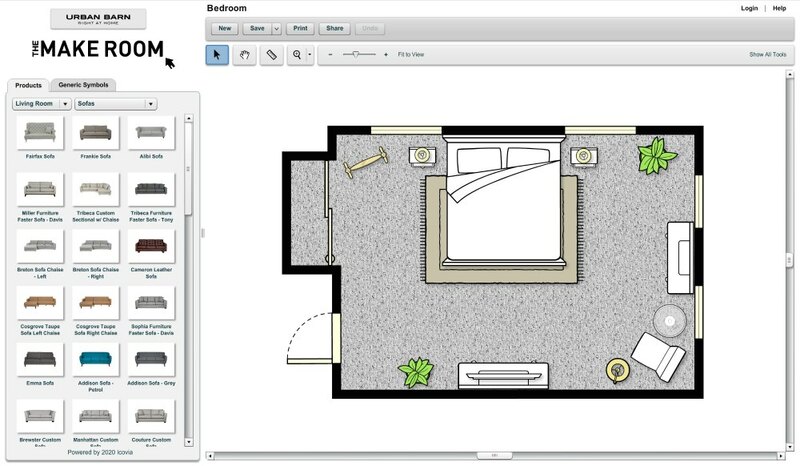 Here are three online floorplan creators to help you map out your story’s setting and bring it to life. But, first, why they can be invaluable to you as a writer. Drawing skills not required: Yeah, no. I can’t draw. I’ll leave that to the lovely and multi-talented Christine Frazier of Better Novel Project. (As if writing weren’t hard enough, Christine can write and teach and draw!) Instead, I’ll just drag and drop the floor planning software’s pre-made furniture and tile and such into the room the program drew for me. So much easier! No eidetic memory? No problem! : It’s hard enough to remember everything that needs to go into a story while I’m writing it. Character’s motivation, story arc, writing techniques. It’s nice to have a visual cheat reference. Now I know at least one thing will go easy. Scene texture, please! : So when the hotel door explodes inward and knocks my protagonist backward, what does he slam into? And how does that affect the room? (Answer: the mini fridge. And it knocks the creamers and sugar packets and coffee pot every whichaway.) Knowing that adds texture to a story. Realer than real settings: You’ll never forget what color you said that couch was five sentences ago. Because the virtual room is sitting right in front of you. Talk about a time saver. And beautifully immersive scenes. Bring your characters to life: How much easier is it to write how your characters move through a space, take up space, or feel about a space when you can visualize them in that space? Translate plot outlines into the details of smaller scenes: I don’t know about you, but I’m a planner more than a panster. That means I love big themes, major plot points, and writing random scenes that don’t have a specific home in the story. Yet. So writing the smaller details of a scene sometimes eludes me. If that sounds like you, sketch out your scene. Keep it close by. Glance at it as you write. And your story will go from outline to narrative faster than you’re used to. Save time by writing setting into the first draft: If your story is heavy on the dialogue and short on setting detail, a sketched out floor plan will save you time on multiple revisions. Because the more setting that ends up in your first draft, the fewer drafts you’ll have to write. That’s texture, grit, and sensory detail baked into every first-draft page. Delicious. Ground speculative fiction tales in a realistic world: You know what’s so great about Robert Heinlein? George RR Martin? Gabriel García Márquez? They’re all speculative fiction writers who brought the fantastical elements of their respective genres to mainstream readers. You don’t have to love science fiction or fantasy or magical realism to love these authors’ works, because the characters in their stories respond to the fantastic in realistic ways. That makes it easy for readers to identify with them. So ground your speculative fiction tale into a specific, everyday setting. And now, your free floor planners! I settled on Room Sketcher to design my story scene’s setting because it was the quickest to learn, had all the options I needed to match my sketch to my setting, and let me get to writing that much sooner. 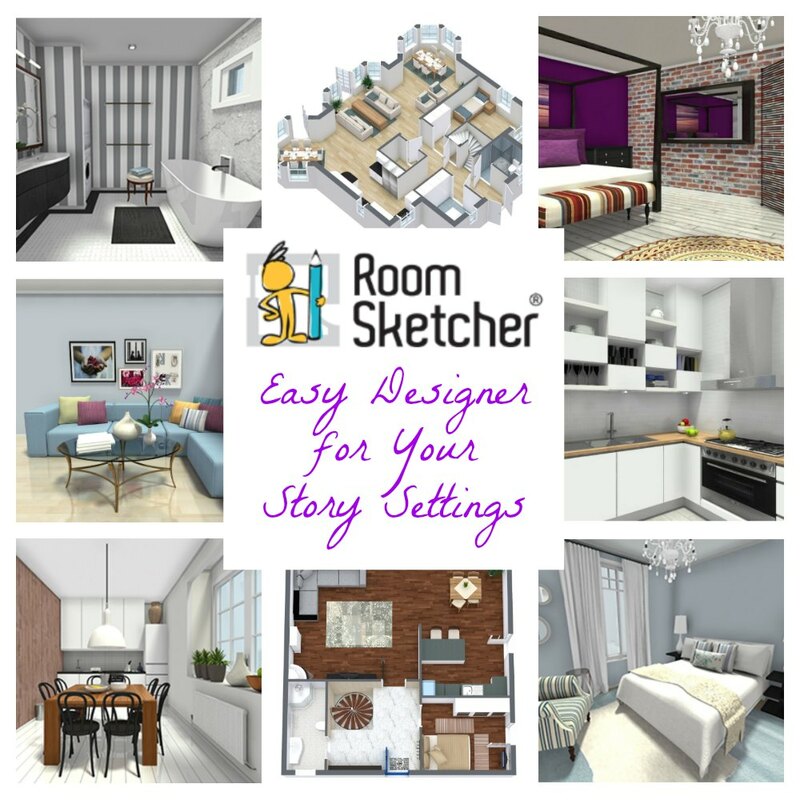 If your story setting is an everyday but real-world setting, then Room Sketcher is for you. Skill Level: Easy. 5 minute learning curve. Commitment: None. Create your projects online. No account necessary unless you want to save your project for later. Pros: Drag and drop design. Lots of furniture options. Easy to add or remove walls, windows, and doors or to change room dimensions. Take 3D photos of the space. Pre-made furniture. And a variety of gorgeous, pre-made room layouts. Cons: Limited furniture and setting options. Much of the furniture is of the IKEA variety. Can’t change furniture dimensions. This software is made for home improvement and interior design. That means you can’t create a medieval castle or space cowboy cruiser. But for real world interiors, you can’t beat the ease and options of this program. Pretty interface. Lots of furniture options. I included the best version (Urban Barn’s) below. Skill Level: Easy. 3 minute learning curve. Pros: Furniture options galore! And you can easily change the dimensions of every piece of furniture, which makes it easier to copy a specific location’s layout. Drag and drop design. Icovia is the easiest to use of the three options. Cons: 2D/bird’s eye view layout only. Icovia doesn’t offer the flooring or furniture material options that Room Sketcher does. Instead the layout is in black and white outlines, more like a pencil drawing. But you may prefer the simplicity and flexibility this offers if your setting is highly specific. Get it: Urban Barn’s version of Icovia. I’ve used Google SketchUp to design venues for library events, my future backyard writer’s retreat, and a myriad crazy ideas just because. And I can say that it is SO much fun. Once you get the hang of it. That learning curve is worth it for writers if your story or scene’s setting is at all outside of the real world. (Space Western, anyone?) Because you’ll need Google SketchUp’s flexibility and tools to bring what you imagine to life from scratch. Skill Level: Moderate to Advanced. Commitment: None unless you purchase the pro version. Must download the software. Pros: 3D modeling. Highly flexible. Customizable. Not limited to interiors or real world settings. Create anything you can imagine. Furniture, buildings, futuristic architecture, creatures, people, fashion, technology. Anything. A warehouse of pre-made items like furniture, people, buildings, cities. Extensions and add-on tools available. Cons: With this many options, you won’t be surprised to find that Google SketchUp has a steeper learning curve than the other two options. You also have to download the software. But the Make version is free. So start with Google SketchUp’s basics, and work your way up. There you have it. A few options to create your story’s setting in sharp detail. Plus a billion (okay, 10) ways using a floor planner can take your story up a notch. What did I miss? Share it in the comments. Many thanks for this tip, Mandy! If you can’t doodle, I suggest that you create your characters with a free online tool (same category as your 3 suggestions). Great character design resource, Elie. Thanks for sharing it! These look great! I find it helps me a lot to do a visual aspect (frustrated artist here) to my stories. I will for sure check these out for layouts and things. Thanks for this! Thanks for the character design resource. It’s nice to have those visuals when we’re writing, isn’t it?